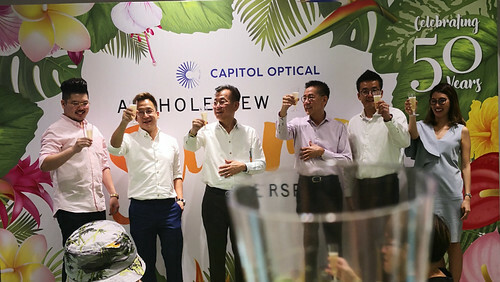 Started from a briefcase business to 17 stores island-wide and still growing, Capitol Optical’s 50th anniversary is an achievement worth celebrating for. 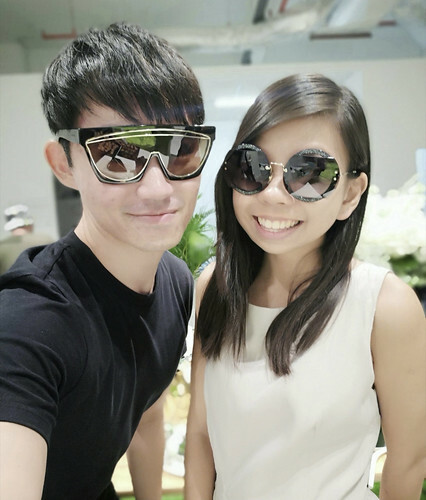 As Singapore’s leading optical care specialist renowned for its wide range of top-end eyewear brands, the trust is strong among its huge loyal customer’s base. Some of whom, according to the current CEO of Capitol Optical, have been visiting Capitol Optical for three generations of family members. 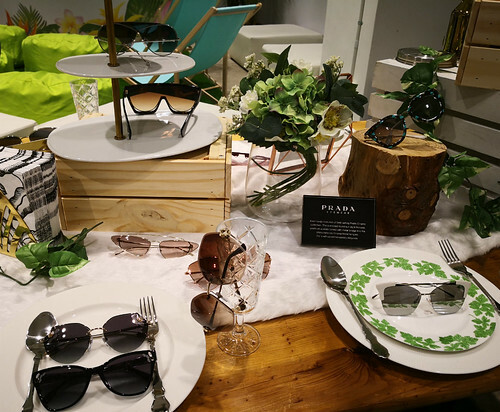 It was a privilege to be able to attend the summer-themed event at Capitol Playground on 16 august 2018, trying out their latest eyewear exclusive to Capitol Optical and having complimentary eye checks. Read more on my experience below! 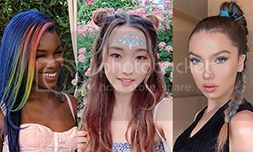 Taking pride to always bring in ‘first to launch’ brands in Singapore, the latest being the Summer/ Spring collection by Celine that features bolder, thicker frames in trendy shapes and colours. The event table had a plethora of luxury international brands – brands such as Celine, Miu Miu, Prada, Christian Dior, Vedi Vero and Moschino. Of course, not all the brands were present as Capitol Optical carries well over 20 brands of high-end eyewear frames and sunglasses! In line with the anniversary celebrations, the brand has introduced three strategic ‘New’ to revitalize and grow the brand. New Logo – a redesign of its current logo to a simpler, more modern look to mark the milestone. New Store Look – revamped in June 2018, Capitol Optical at Jem Shopping Centre sports a sleek interior with light wood accents and easily accessible shelves. From now till middle of 2019, other stores are planned for refurbishment and upgrade to reflect the same fresh look. New Borders – expansion plans are made to expand into neighbouring countries such as Malaysia and Vietnam. Of course, it would be a waste not to try out their premium sunglasses amidst the garden party setup within an industrial space. Beside me is the very pretty Magdalene. Swee bor? From September onwards, Capitol Optical will be offering its customers a Limited Edition personalised leather eye case FREE (worth $49) with any eyewear purchase above $800. Customers can also top up $20 with any other purchase to own this exclusive leather accessory. Also available is a classic leather business card holder retailing at $29. This service is available while stocks last. It only took us less than a week to shop for our wedding bands! If you look at the outfits I put on everyday, it is not hard to imagine that I tend to go for things that are minimalist yet classy. The same for my wedding which is happening in a few weeks time! For my wedding gown, I am extremely thankful and privileged to have Michelle HuiMin from Bridal Veil to dress me up for that! What is another big task to settle? Our wedding bands! The top of the mind brand for both James and I was Goldheart Jewelry (www.goldheartjewelry.com) because of the huge selection they have. 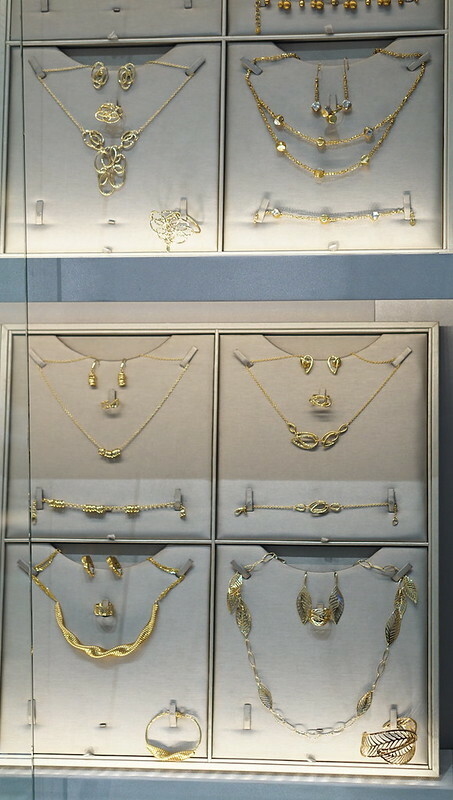 Furthermore, we have long heard of the highly raved Celestial Star Diamond collection from friends around us who have entered into their next phase of married life before us. Hence we have decided to check them out ourselves! Don’t you feel that humans are just like stars? The couple shines the brightest when their thoughts align. Similarly for stars, they form one of the brightest constellations when they are aligned. 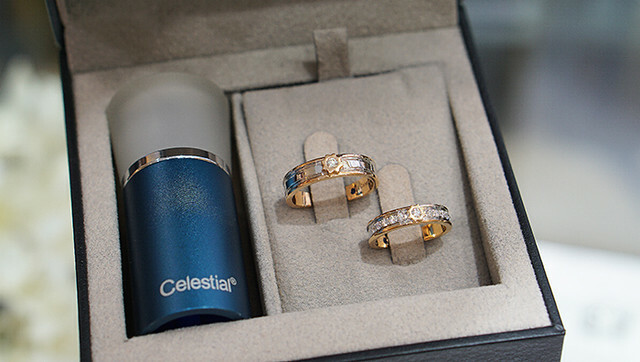 This is the inspiration of their premium collection known as the Celestial Orion Collection. This premium collection is a tribute to the modern minimalist trend, and this is exactly how I would like my marriage to embody. It is simple & elegant with two distinct features : the Celestial Star Diamond is the world’s first 73-faceted starburst diamond that scintillates with supreme luminosity of the brightest star. Using the blue diamond scope, I viewed the Celestial diamond up close and my eyes were greeted with the most beautiful thing I have ever seen on earth: a spectacular eight-point starburst pattern that glittered so brilliantly due to the more reflective environment inside the diamond that allow for more light to pass through. It is this patented design that a Celestial diamond possesses a superlative, brilliant scintillation and more “fire” than any other diamond. 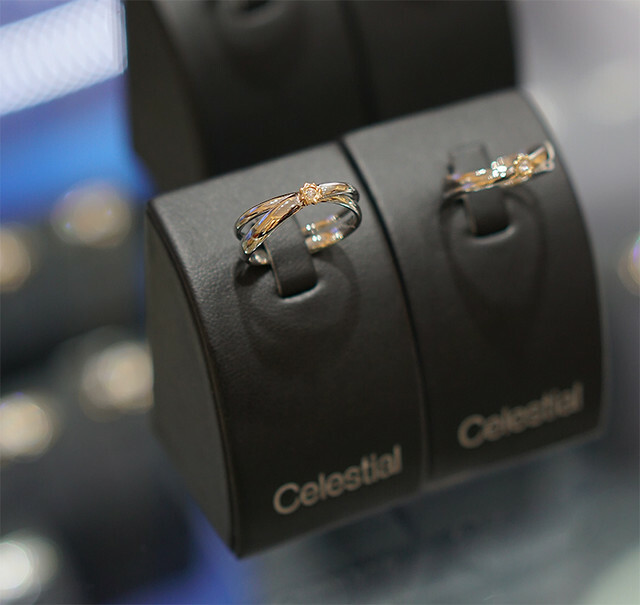 Look closely at this design: the Celestial diamond is nestled in a 8-point star motif made of rose gold, which works like a charming tribute to the eight pointed starburst pattern found in the Celestial diamond. Elegant, minimalist and with a touch of storied significance – needless to say, it was simply our dream choice. Celestial diamonds are graded with very strict standards and every Celestial diamond from 0.5ct is certified by the Gemological Institute of America (GIA) attesting to its premium diamond quality. 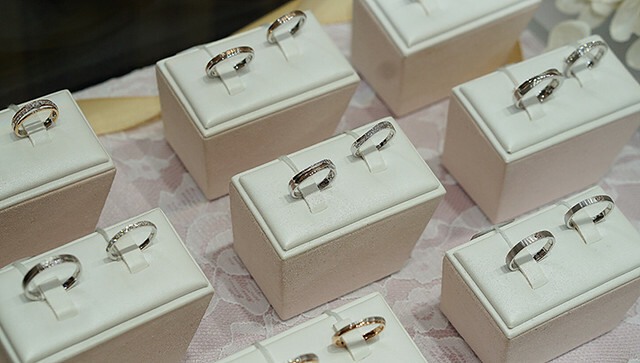 So guys and gals, if you are buying diamonds for an important event in your life such as your wedding, make sure you are getting the real stuff. If you need further proof of the value of Celestial diamonds, you would be impressed to know that it scored distinction in all four categories in the Sarine Technologiesgrading system, which measures the brilliance, fire, sparkle and light symmetry of diamonds. The Sarine Technologies grading is separate from GIA, so this means Celestial diamonds are certified by TWO independent institutions on its quality, which makes it a truly valuable diamond. However, do note that the grading is performed for Celestial diamonds with 0.3 carat and above. So you can expect all Celestial diamonds in proposal rings to come with a Sarine Certification. 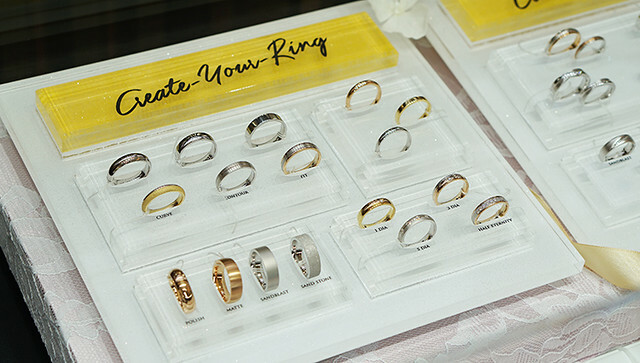 For Goldheart, the design continues beyond what you can see on the exterior of the ring. Like the icing to a cake (or inside the cake in this case! ), there is a blue sapphire in the inner band. In fact, this is a unique concept called “Pure Blue” introduced by Goldheart since 2011! 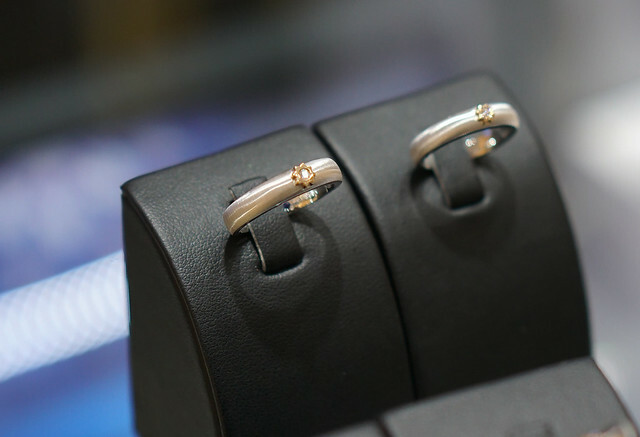 The blue sapphire symbolizes purity, fidelity and true love between a couple. 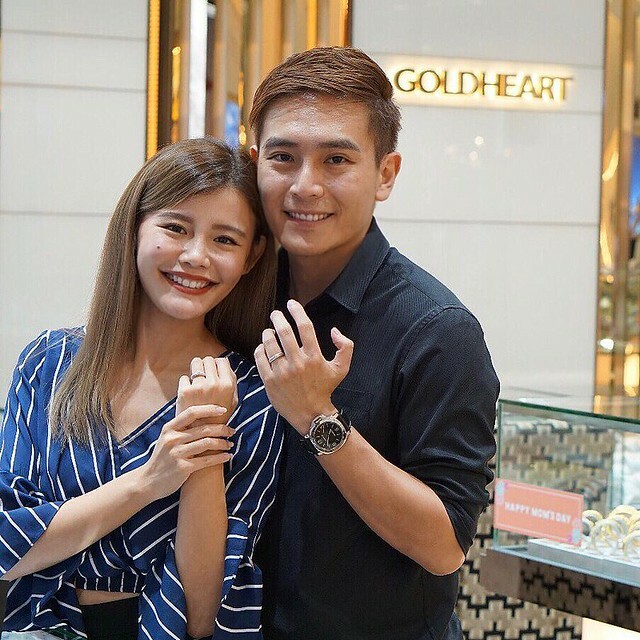 Initially, we thought having a blue sapphire on the inside as a design looks cute but after finding out the real reason behind the sapphire stone, we cannot help but be impressed by Goldheart’s commitment to telling every couple’s romance and love story. The blue sapphire is like a promise, or a secret, that is shared only between a couple in love (which is why it cannot be seen by from the outside… get it?). And because it is always in contact with your skin, it is like gentle touch from your S.O to remind you on the promise you’ve made together. Don’t leave just yet because the Celestial range is not the only pretty range that caught our eyes that day. 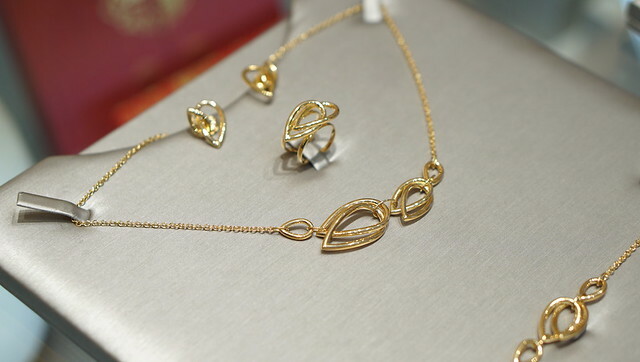 If you belong to the cool and edgy crowd, the stylish Felicite Collection would fit you and your spouse perfectly. Just look at the wide variety. I could spend all day trying on every single one of them! Look at the detailings and how Goldheart play with the various gold e.g. 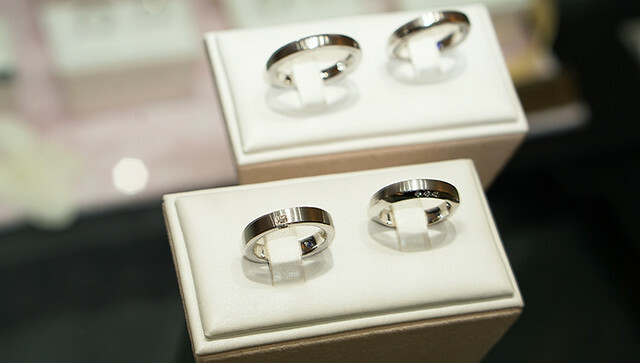 rose, white and black gold on their rings here. Another range that I was considering very seriously was the Intimo range. Truth be told, Intimo was our first choice because I wanted to match the ring with my solitaire proposal ring. 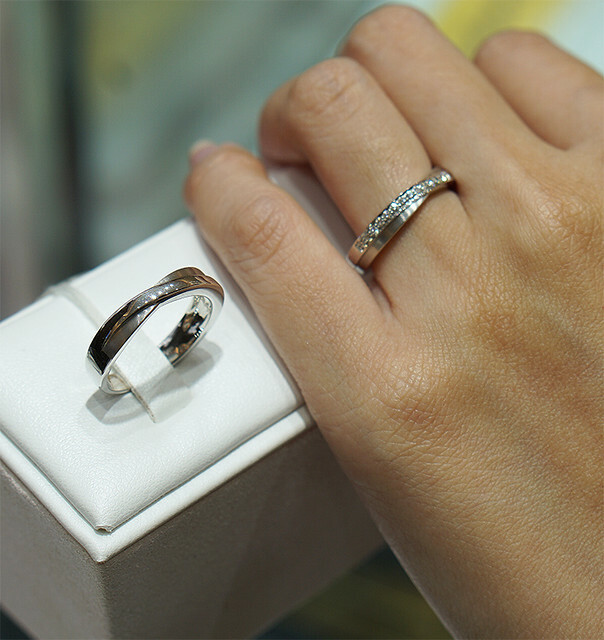 We discovered that the Intimo wedding bands also comes with a Pure Blue Sapphire in the inner band. It was a tough choice having to choose between these gorgeous designs but eventually we leaned towards the Orion Celestial range because James was besotted with the eight-pointed star motif. For me, seeing James happy made the call for me! If you fancy having premium materials on your love bands, you can consider the Le Pure Platinum collection. 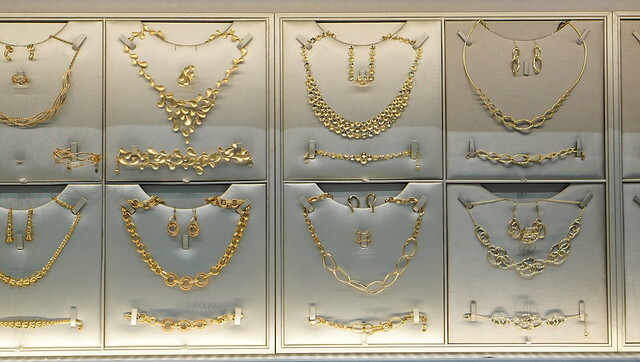 To me, this collection signifies “strength” as we know that platinum is one of the strongest metal on earth! (It is 60 times tougher than gold!) It is also very rare. Hence, would you agree that finding a soulmate who you are able to form strong emotional connection is like finding platinum? I have to admit that I am not a girl who chases after fairytales. 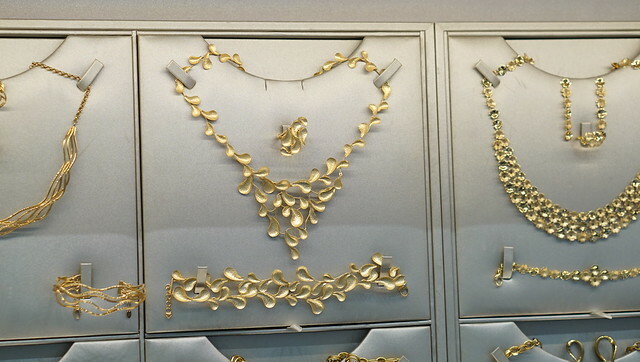 But even for me, it was love at first sight with their Enchantine collection. The details are delicate and feminine, featuring inspirations captured from fairytales that we are familiar with, such as dove wings, fairy lights, blooming roses and laurel wreaths. 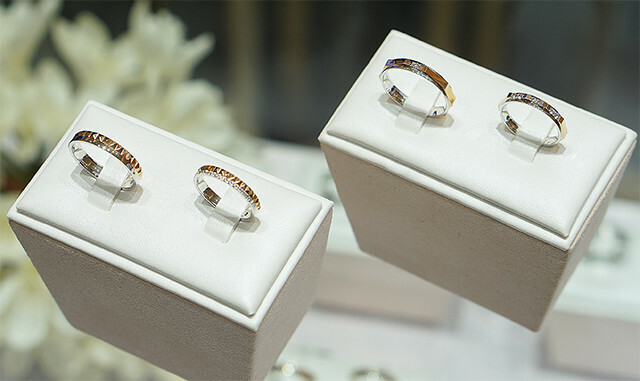 I have a soft spot for whimsical designs so I think I will probably come back for a ring from this collection after the wedding. This is the part where I wish I had more than 10 fingers to fit on all these lovelies! Look at the fine detailing, it is hard to resist being enchanted by it, don’t you think so? 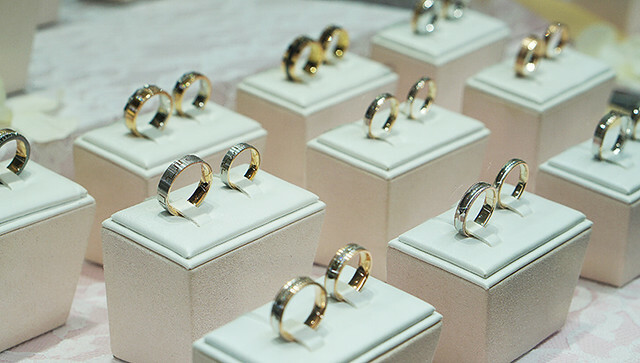 I believe I speak for to-be-married couples that sometimes we experience difficulty in picking out the perfect ring and need to consult someone who knows jewellery more than you do. And I think you can relate when I say that the desire to know certain information strikes you at the most random moments, such as when you are on the train to work, in the middle of a meal or when you are lying in bed getting ready to sleep. The desire to get an answer NOW can make most of us anxious! 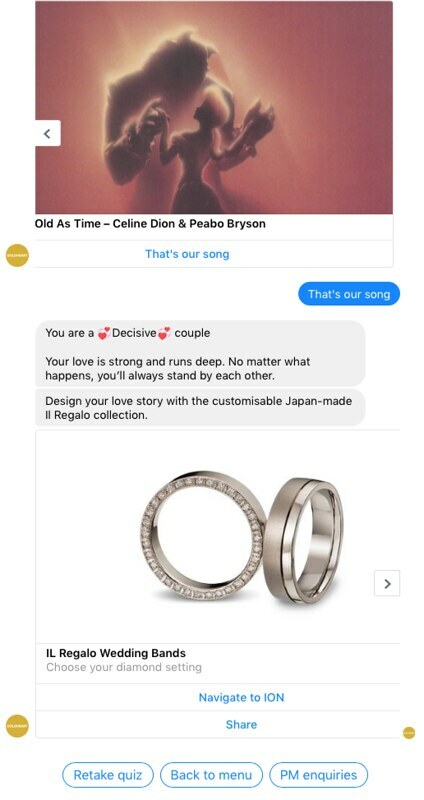 The marvelous thing about Bling is that it REMEMBERS from our conversations on important dates leading up to my wedding day. After some time, Bling will remind me of the list of things I have to clear, which is really REALLY helpful now that the wedding is just a month away. 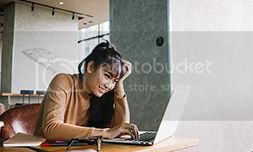 I’m sure most of us have our ways of tracking, and if you are a heavy Facebook user, it wouldn’t hurt to have a friend to catch you just in case! 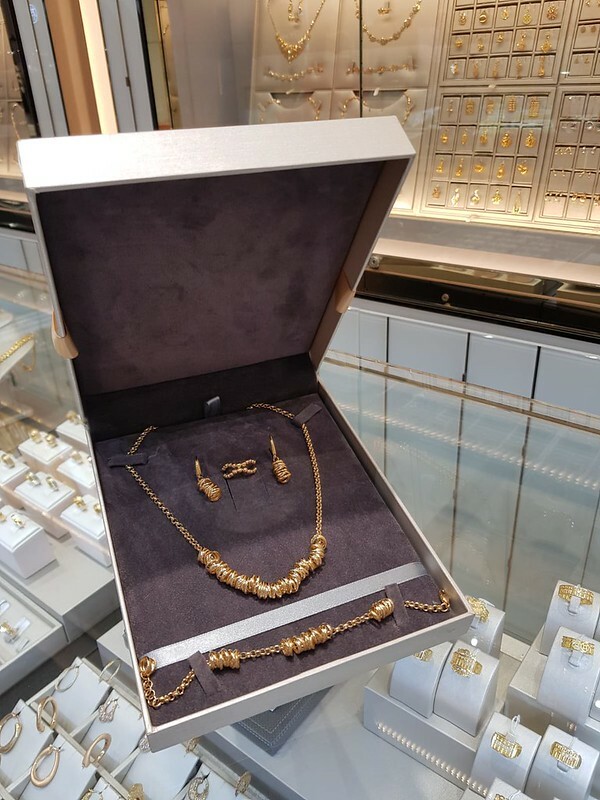 Besides weddings, Bling also keep track of other important dates in your life – such as birthdays to anniversaries – and alert you in a timely manner so that you have the time to shop for the perfect gift! 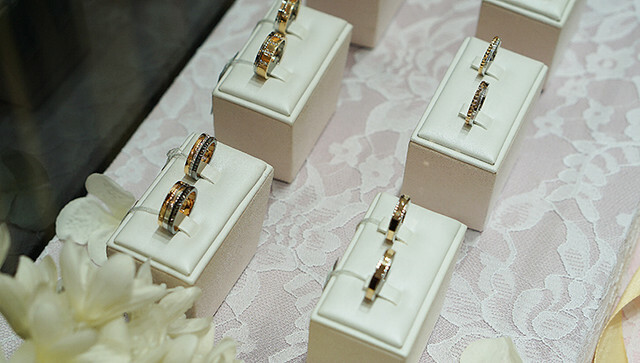 Guys will definitely find a friend in Bling, especially when you are planning to propose. Bling is capable of recommending the perfect proposal ring taking into consideration your budget and preferences. 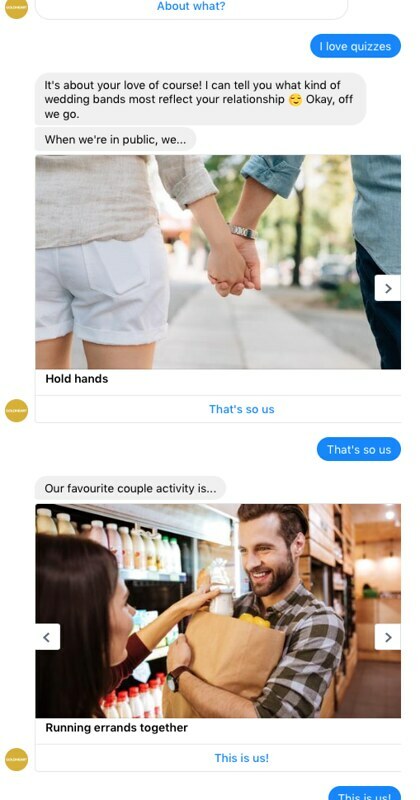 Shop on your phone or computer, shortlist and then visit a Goldheart boutique to examine it closer. 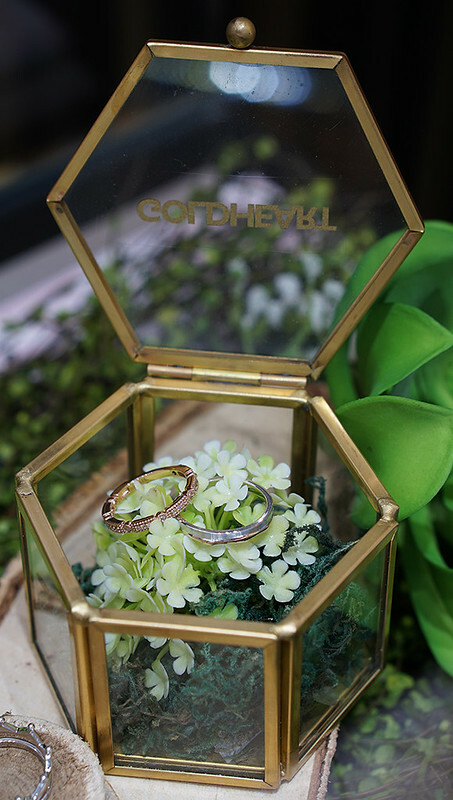 As I have shared extensively above, there is no lack of choices at Goldheart, who had taken great effort to offer modern, well-crafted designs that cater to different styles and sensibilities of couples.Where does one even begin?! 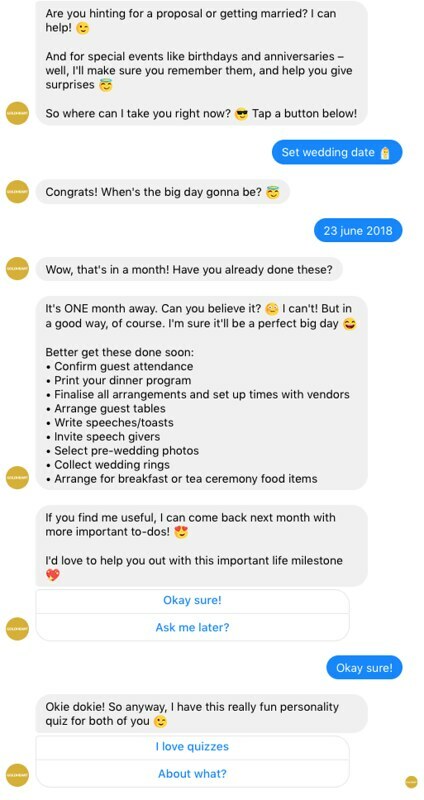 Well, my advice is that planning a wedding is like going on marathon – you need to build up your stamina and strength before you even start to run. 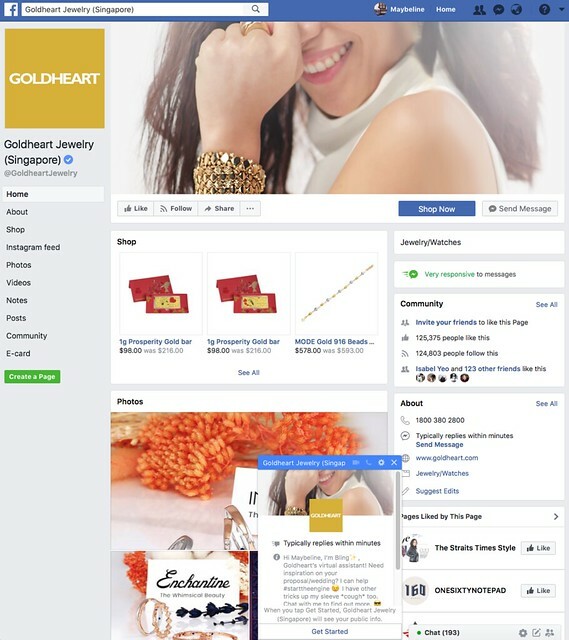 As a leader in the love and romance category in Singapore, Goldheart had certainly walked the talk by being super generous with offering bridal resources and references. Besides chatting with Bling, you must check out their wedding blog (www.goldheart.com/weddingblog), which offers tips and advice for wedding. 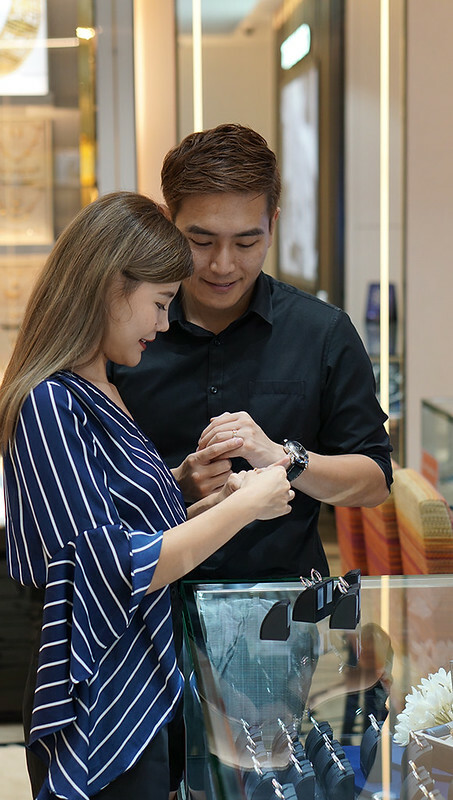 One other thing that impressed me was how Goldheart had expanded their customer touchpoints, from the boutiques located islandwide, online website, social media and, of course, chatbot Bling. It doesn’t take long for Goldheart to feel like a friend that I can turn to and check in regularly for gift ideas or inspirations – no matter when or what time. For couples who are getting married, I hope my experience in this blog had given you (new) ideas and inspirations for your big day! Sales and more sales everywhere! I see a lot of Single’s Day Promotion! I am someone who loves promotions a lot!! Not sure how you feel about it but I get ULTRA excited when there is a sale! I love shopping for stuffs I love like Bags, Shoes and Accessories. I am sure that all of you know me well and my love for eyewear. 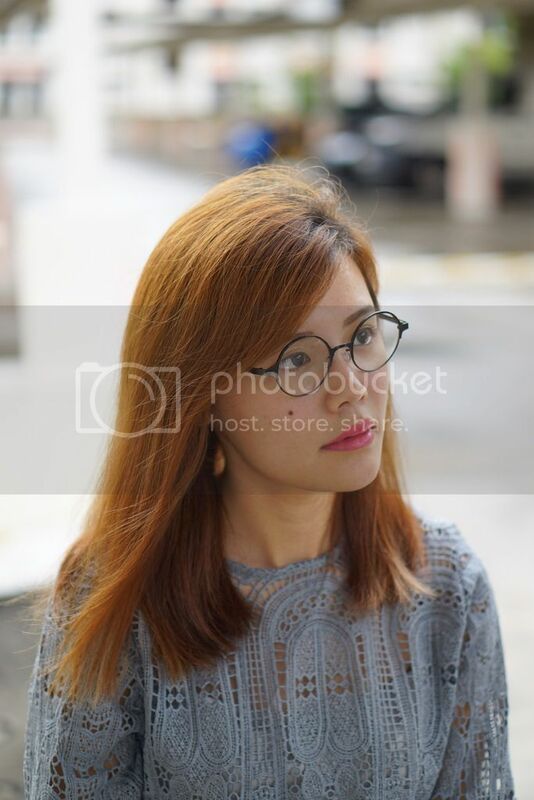 Even though I have already done lasik, I can still be seen wearing spectacle frames and sunglasses almost every weekend. Let me get your excited and share with you some 1-day promotions only on EyeChamp. As seen on the image above, they are taking part in the popular 11.11 promotion too! However, if you missed the 11.11 promotion, you can also wait for their Black Friday Sale on 24 November! Mark your calendar and save the date!!! Both promotions are going at 60% storewide!! Don’t share I didn’t share hor. They carry a lot of brands in-store! James and I had a hard time picking out a nice pair for ourselves because we were so spoilt with brands. On top of the 1 day promotion, if you happen to be EyeChamp’s member, you can also get to enjoy their Annual Members’ Day sale from 12 Nov – 19 Nov. Enjoy 50% discount storewide and double up your rewards during this period. That’s not all, you will also get EyeChamp $50 return voucher (Terms and conditions apply). If you are still looking for a place to do your Christmas shopping, you know where to go now! 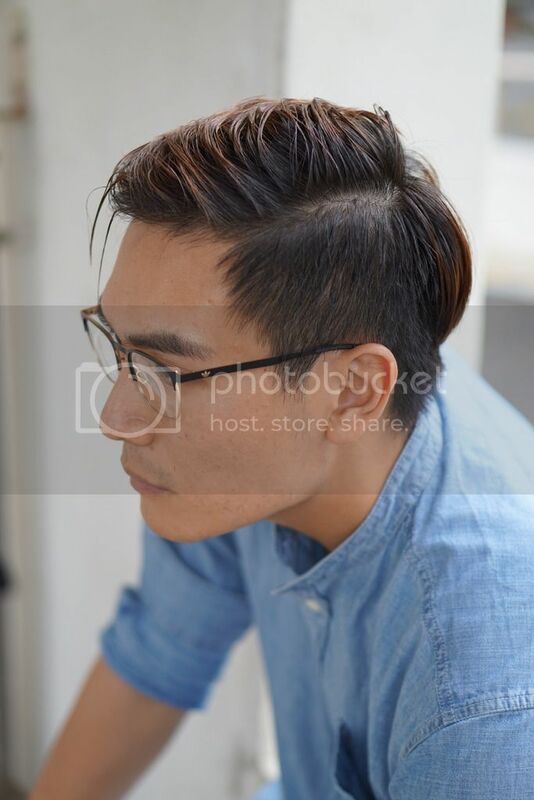 *hint hint* Mr. James Aw Yong, I don’t mind a pair of new eyewear at half the price off! Hehe. I am always excited about Black Friday Sale because the prices can get REALLY REALLY crazy!! Some sales can even go up to 70% off you know! I also love November because it is my birthday month. Yes, I am a November baby! What’s best this year is the combination of Eye Trendy Black Friday Sale & November, all in one! Woots woots!! So what is Eye Trendy Black Friday sale? They are introducing Eye Trendy Black Friday Surprise Pack this year! Each surprise pack retails at $79.90 and is worth up to $250 and here I have with me is my Mango Eyewear Surprise Pack. Other participating eyewear brands include adidas Originals by Italia Independent, Elle and Esprit. Sooooo… It just so happens that my entire surprise pack comes in Black! Hahahaha. Every Mango Eyewear Surprise Pack comes with a pair of mystery Mango sunglasses, Mango mug and pouch. I specially love aviators so lucky me got to keep this! Haha. 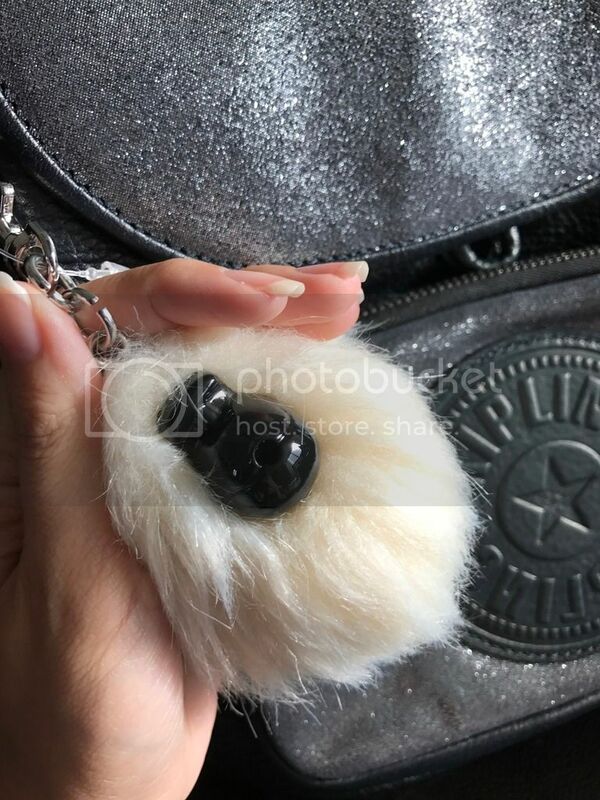 I foresee myself using this pouch as my travel makeup pouch! And this chic mug will stay in my office with me. Like chic hor? 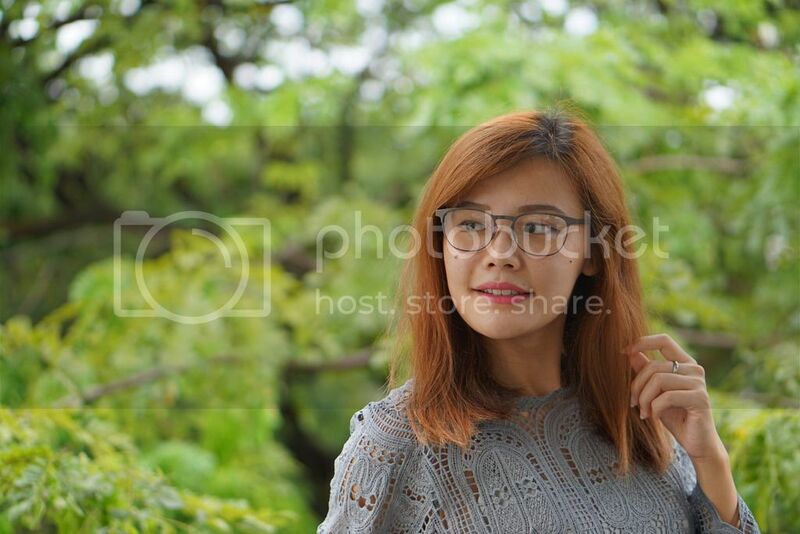 I am using some fashion brand mug! Haha. 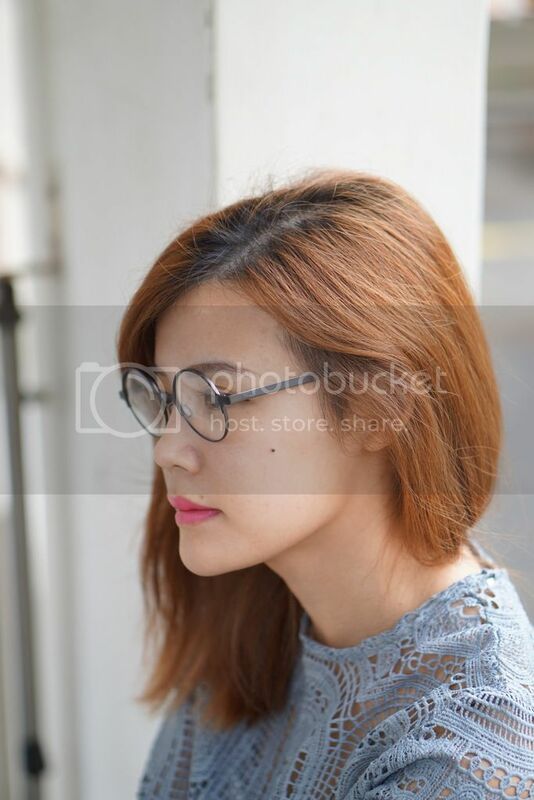 Since it is a black friday sale, look at how I match the eyewear with my staple black dress! Hehe. The sale will start from 3 November 2017 all the way to 30 Nov 2017. However, this is an exclusive sale as the stocks are limited. The Mango Eyewear Surprise Pack runs from 3 to 9 November and You can participate by signing up at with your Name, Email and Contact Number at https://goo.gl/dWG4ZD. For the rest of the brands, check out Eye Trendy website as they announce the upcoming brands and dates weekly. Winners will be contacted at the end of each week where they can make their purchase and collection of the Surprise Pack in store. You can also get a surprise pack for your BFF this Christmas as it is already pre-packed for you. Save you the hassle of Christmas shopping & packing! Haha. Please let me know what did you girls receive if you manage to get a pack for yourself! Here is a shoutout to all my sponsors again! I don’t post clothes that I don’t like so what you see on my Instagram feed (@maybelinesim) is what I really like and you can see them in my postings again and again! Quote “Maybeline” for 10% off. Quote “maybelxqlothe” for a 15% off all orders, with no minimum purchase. Free next-day delivery & 30 days returns & exchanges (non-SALE items) still applies for my followers! 4) Dorothy Perkins – Do visit their new outlet at VivoCity (inside Topshop) for some shopping pleasures! You are bound to find something you love! I have full of praises for this piece! It can be worn in three styles! Hope over to their website to find out how. If you are looking at eyewear – be it sunglasses or prescription glasses, be sure to visit EyeChamp this National Day! I shall not bore you with lengthy sales pitching nor hard selling but let me share 4 reasons why! Firstly and most importantly, they are a champion when it come to the varieties of eyewear brands they carry. The branch we visited is situated in NEX Shopping mall. The moment we set foot into the store, we went ‘WOWWWW’ at how huge the store is. As usual, James is the more careful and less decisive shopper. 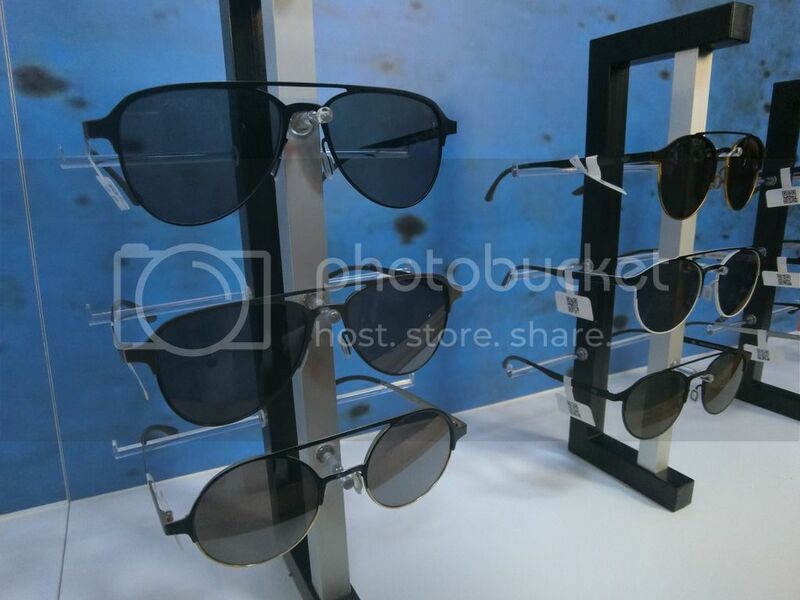 Thus, it took him almost an hour to pick out just two pairs of eyewear due to the myriad of options he was given! 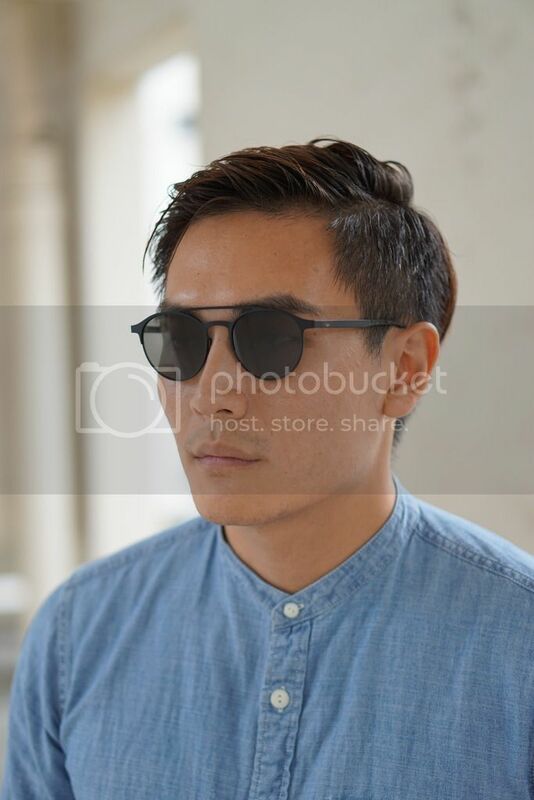 There are even high end brands which are not commonly found in conventional optical shops, take for instances OliverPeoples which he eventually settled for. Whereas for me, I was more decisive in what I wanted and so I made a beeline for their Prada and Rayban collection. Hehe! Next, who doesn’t appreciate a bit of cost savings? There are having different promotions for most of the eyewear brands and the discount can go up to 30% off the usual retail price! WOOT! This is on top of the fact that their prescription glasses are priced relatively cheaper than some of the other optical shops we visited. Lastly, not forgetting the friendly and helpful staff! I would gladly give 3 stars for their customer service! The explanation was thorough and clear. We didn’t even have to ask much questions to get our spectacles fixed that day. Also, despite the endless flow of customers in and out of the store, I managed to pick up how meticulous their staff can be. 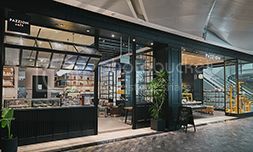 One of the staffs was able to recognize a customer despite it being only her second visit which we found out later on after they struck up a conversation. Without a doubt, they are going to thoroughly look after your needs in this shop! Isn’t that exactly the epitome of customer service! – Free welcome voucher worth $20 with every new member registration. Receive SMS updates and enjoy exclusive discounts when you sign up as their member. Both promotions are only valid from 9 Aug to 13 Aug only! Now, don’t know where to find them? Here is the full list of locations where you can find EyeChamp! When it come to eyewear & shades, what are the first few brands that to the top of your mind? The list can run on but it is still hard to plaster the image of adidas as an eyewear brand right? This is exactly the same sentiments we had as well till we own our very first pair of adidas Originals eyewear by Italia Independent! This is the very first Italia Independent official launch in Asia and I must say their first collection is all ready to make a huge impact in the eyewear scene! Starting with the Mens’ Sunglasses. There are 14 sunglasses in total within this Fall/winter 2016 Collection of which I decided to choose something subtle yet charismatic! And so, I chose the “AOM003” Model with black metal frame. Don’t you just fall in love with the minimalist yet stylist shape of this sunglass? What will make you fall in love even more would be the super-light frames that stand out for their soft surface that is both pleasant to touch and scratch resistant! 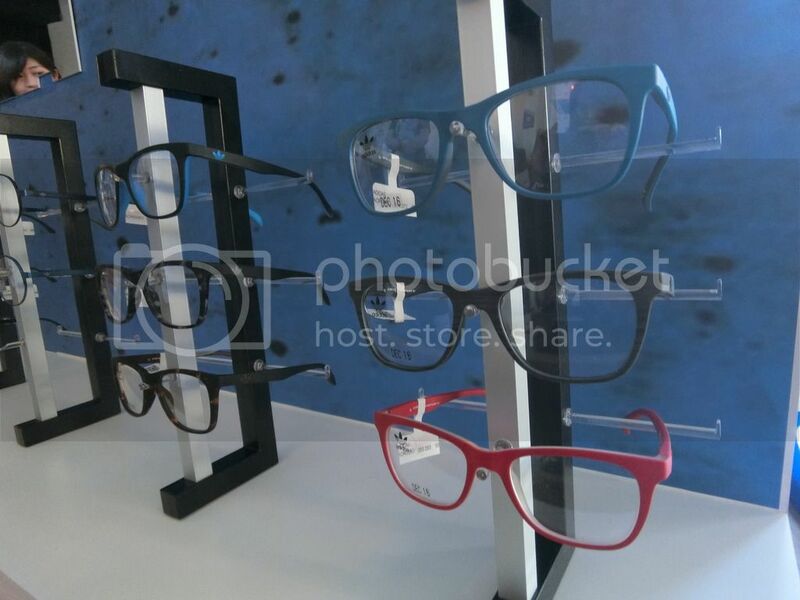 For its prescription glasses range, they have 12 frames in total. For this, I decided to go with something more flamboyant I would say? Lol! The ‘flamboyance’ arise from its two colour tone which in this case is my favourite colour combination: Black & Gold! The two different colours come together so harmoniously and the most attractive part is definitely the laser-etched Trefoil logo of adidas Originals that appears on the sides of both temples! The emblem is also present in the ladies’ range! For Maybeline, she decided to go with something more ‘Harry Porter-ish’! Good choice for her as I feel it fully helped her pull off that intellectual look! Furthermore, a flat lenses tends to give the frames a contemporary & classic feel while ensuring optimum comfort and non-glare internally. To push the level of comfort even further, it comes with an adjustable nose pads for a comfortable fitting. So wearing this for days continuously is not an issue at all! 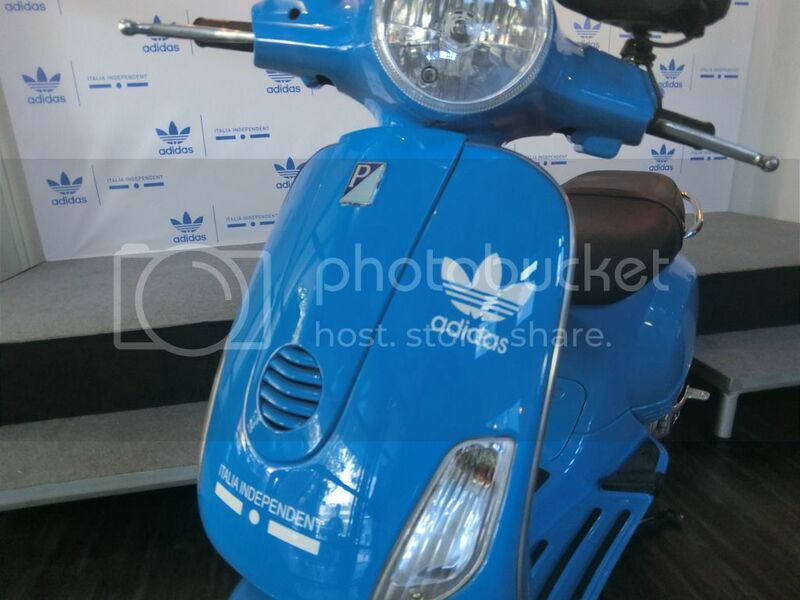 The adidas Originals collection can be found at adidas Originals stores, Italia Independent boutiques, on both brands’ e-commerce platforms as well as selected authorized list of optical stores in Singapore and Asia. 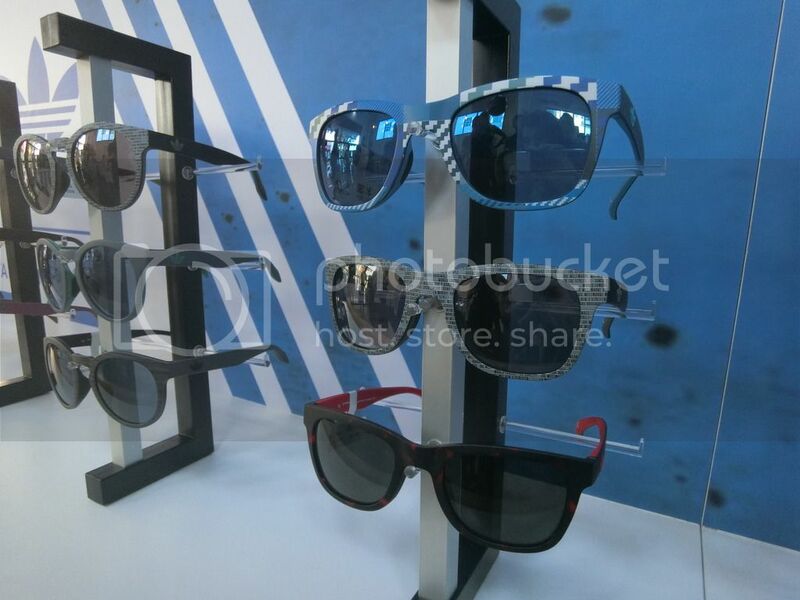 The adidas Originals range will start from S$205 for sunglasses and from S$185 for prescription frames. Do visit the stores and give the adidas Originals collection a try at least! I am pretty sure you will fall in love with them like how we did! I must say that I have been very blessed with all the gifts that Kipling has gifted me! Let me walk you through some of the bags I own right now. I actually help out a little last year and they gave me 2 bags in return. My mom, being a fan of Kipling for the longest time, took the bags away from me right after I brought them home. Lol! 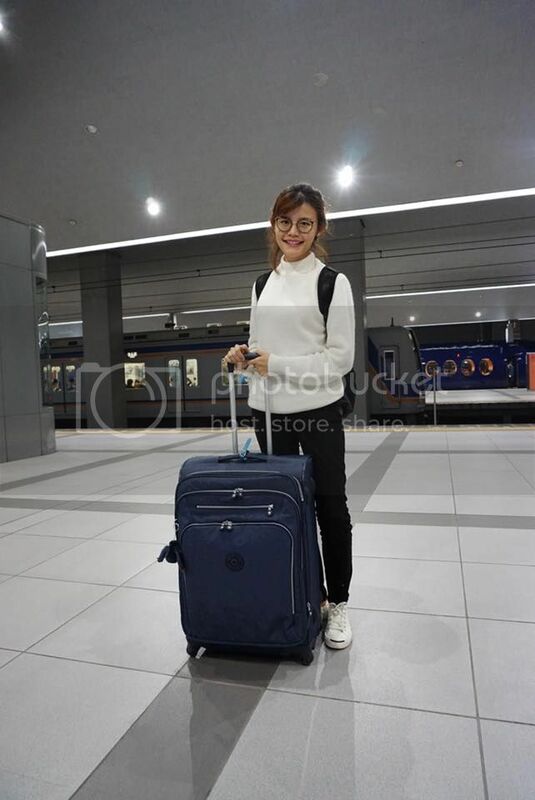 I brought their backpack and luggage to Japan with my family last year and I swear James was super jealous when I told him Kipling gifted me a luggage! Hehehe. Traveling around with the luggage makes the entire journey so much lighter and easier – especially when we had to travel from town to town. We visited Kyoto, Osaka, Nara and 2 other places! Other than being light, I was surprised by the compartments. They had so many compartments inside that you can stuff ANYTHING and EVERYTHING. I managed to squeeze in 3 pax worth of clothing and accessories for a good 8 days! Even though it was filled with clothes, it was not hard to bring it around because of the wide wheels underneath. I was so easy to roll them everywhere. The luggages are made of a durable material – Nylon which is able to withstand the rigors of regular travel. Of course, all Kipling bag comes with a monkey keychain – so does the luggage! I travel out of Singapore at least 3 times a year so I am very much looking forward to my next trip with the luggage! I also own another bag with the same keychain! It was love at first sight with City Pack Navy Black and it is also my current favourite. This 100% leather bag is a combination of style, fun and practicality all in one! Isn’t it charming? The drawstring pocket makes it easier for me to charge my phone with my powerbank in that compartment. I can charge and use my phone on the go without the need of holding that bulky powerbank in my hand. Easy reach pockets for the win! I love how I can easily match my OOTD to this pretty City Pack! We can never go too wrong with black and glitters. I will be sharing more on my Instagram how you can incorporate Kipling into your daily outfits so keep a lookout for #maybelineootd! 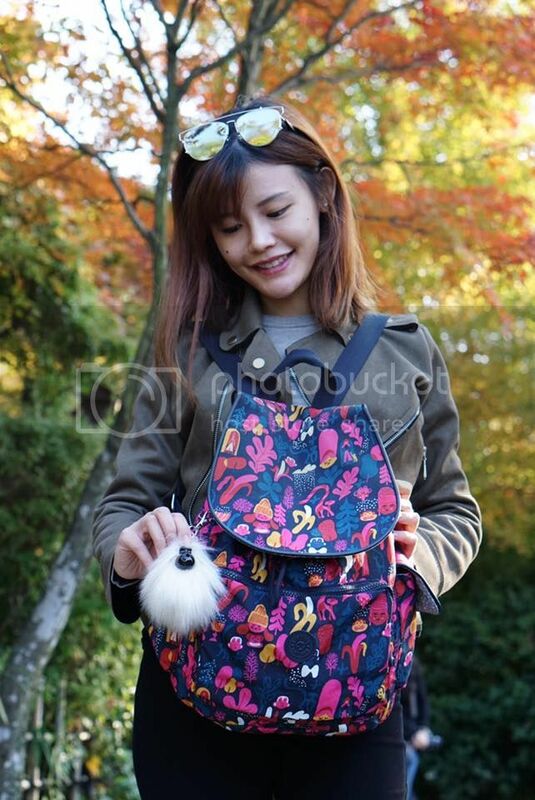 Also check out the hashtag #MyKiplingStyle to see how other influencers style their Kipling. adidas has been VERY hot lately and people are going crazy over their shoes. No doubt, us as well. 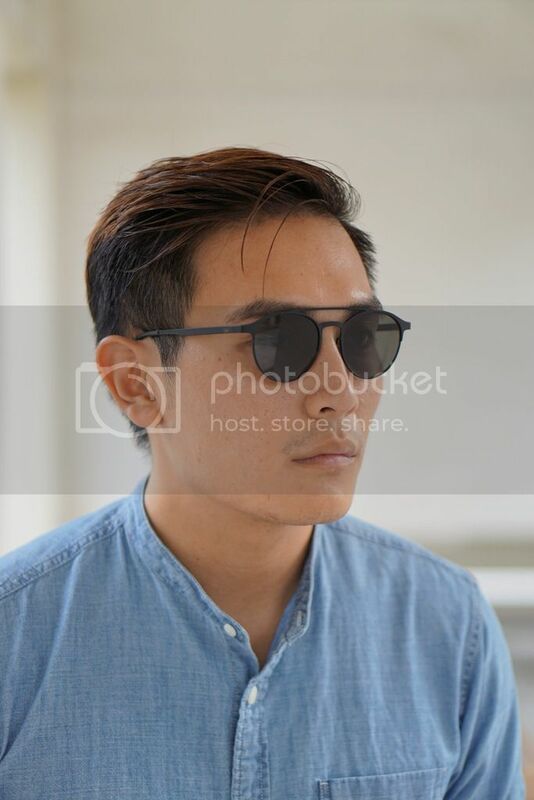 Well, Singapore is summer all year round so we get to wear sunglasses almost everyday (yay!). 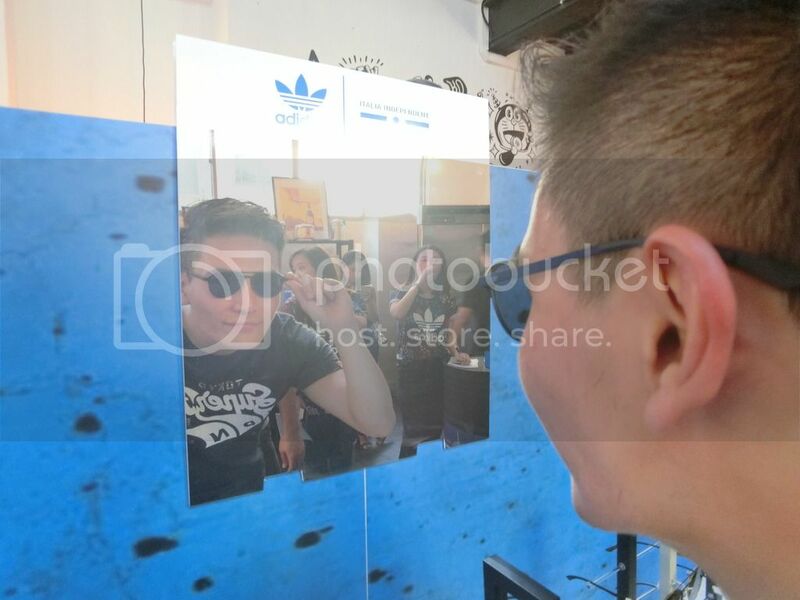 Be excited because adidas Originals by Italia Independent eyewear is now available in Singapore! It is also Italia Independent’s first official launch in Asia. Yay! Right here in Singapore somemore! Gracing this special evening were Mr Paolo Sasso, APAC Sales Consultant of Italia Independent and Mr George Lee, Managing Director of Sin Kwang Group. To me, a pair of sunglasses or prescription glasses is a fashion accessory and everyone knows that on my Instagram!! We had fun trying out all the spectacles and sunglasses on the event itself. Models also did a runway showcasing the different eyewear and looks from the latest collection. Interestingly, the drinks were also served in adidas themed – blue mocktails! We were blown off when we saw the sunglasses. I couldn’t make up my mind if I should go for the sunglasses or prescription glasses frame because you know me – I REALLY am a sucker for glasses. I love how slick looking they are! Some of the designs also came with a tinge of retro-ness too! The metal frames are my favourite! I love how flat they are! It makes the entire outlook even trendier. 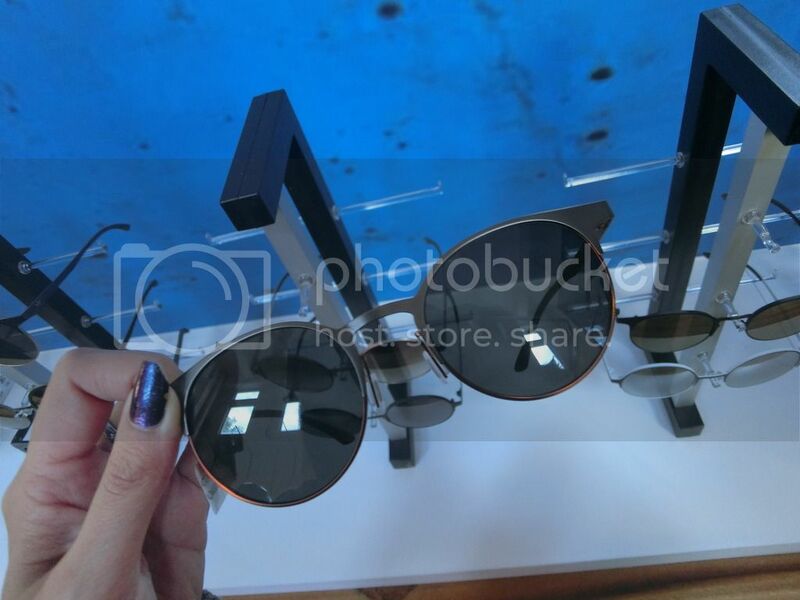 The lenses are also treated with an internal non-glare treatment so you can read quickly, comfortably and clearly without straining your eyes. If you prefer your shades to be more sporty, they have them in plastic frames too! Suitable for guys who wants to look extra sporty. Go on, go for them! The eyewear are all pretty unisex so you can share them with your other half anytime! Our pick for their sunglasses! We really wanted what we wore below but they were already out of stock when we were there to redeem our eyewear 🙁 Do you trust me how popular they are now?! adidas Originals eyewear by Italia Independent is retailing from $185 for prescription frames and $205 for sunglasses. Thank you Sin Kwang Group and Eye Trendy for bringing them in! 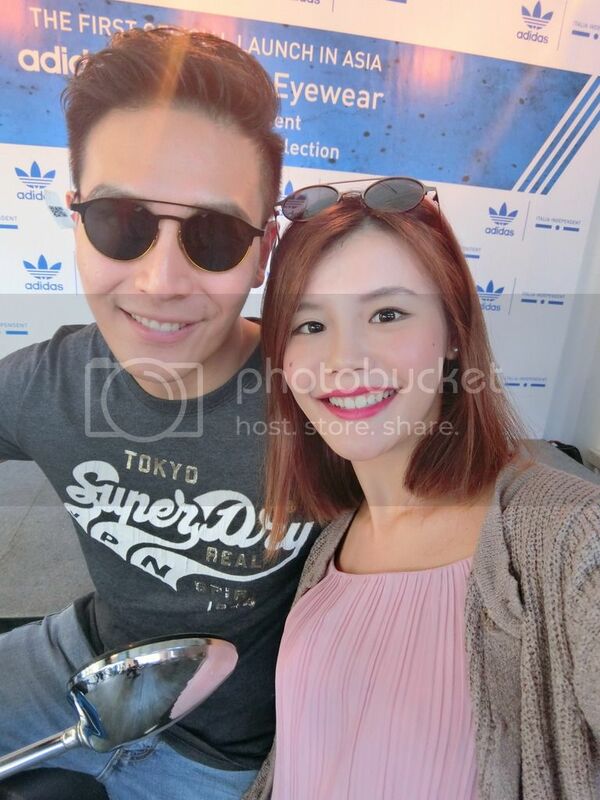 Just so you know, they are also the sole distributor of adidas Originals Eyewear in Singapore, Malaysia and Indonesia!